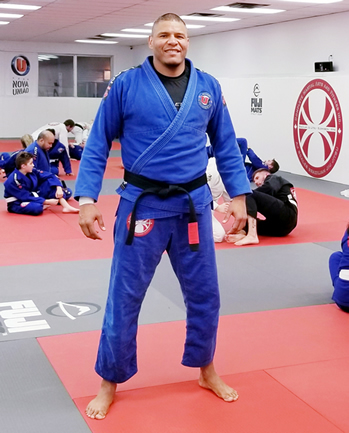 Professor AJ Scales – Complete Martial Arts and Fitness Inc.
Head Instructor and Founder of Complete Martial Arts and Fitness Inc.
AJ is a 2nd Black Belt in Brazilian Jiu Jitsu. He earned this world-class distinction while training under legendary Nova Uniao Black Belts Wagnney Fabiano and Leo Santos. Having trained extensively in Brazil at the Nova Uniao Headquarters, AJ earned his Black Belt while learning with other notable BJJ practitioners, including Thales Leitas, Marlon Sandro, Shaolin, Pedro Rizzo, Jose Aldo and Andre Pederneiras. For a complete look at AJ’s accomplishments in BJJ and MMA, please see below.